On October 25, 2017, Merritt Jones, the founder of San Diego-based Natural Harmony Reproductive Health led a workshop regarding nutrition and Endometriosis. Ms. Jones is a licensed acupuncturist and certified nutritionist, as well as one of our local EndoSisters. She and I have been wanting to host this workshop for quite some time and I was ecstatic that our efforts came to fruition! I know that many of our local Sisters were unable to attend, so I tried to take detailed notes. And Merritt graciously shared her Powerpoint presentation with me so I could share it with YOU! A nutritious diet can help with symptoms, but everyone is different and responds differently to various foods. There is no one size fits all approach. 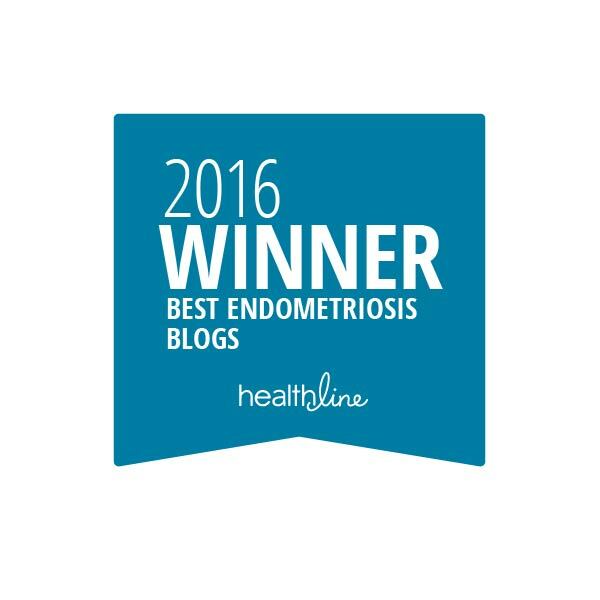 The immune system, Endometriosis, and inflammation are pretty much bosom buddies. When Endometriosis lesions are present in our bodies, the immune system is constantly trying to attack the lesions since they really don’t belong there. So, the immune system is always on…and the constant effort to fight lesion “invaders” leads to a state of constant inflammation. Which usually leads to more pain and other issues. So, eating foods that can cause or exacerbate inflammation can be like throwing gas on the fire. We’re not perfect and we all cheat, but we need to be moderate when we decide to cheat. But what are some foods that can increase inflammation? She isn’t saying that we cannot eat inflammatory foods, but these foods may cause inflammation and worsen the symptoms of Endometriosis. We just need to cut back on inflammatory foods that affect us, be wary and in tune with our bodies, as well as try to eat the BEST quality of foods that we can afford. For instance, if we want red meat, look for organic and grass-fed livestock. Want some real butter (hey Mom, what was the name of special butter you brought us?)? Again, organic and grass-fed. Got a hankering for some fish? Choose wild-caught instead of farmed fish. ALL milk, even grass-fed organic milk, contains hormones and estrogen, which is truly awful for Endometriosis. According to Chinese medicine, phlegm is a sign that the immune system is working overtime. And even some studies have shown that mucous membranes release more fluid during inflammation. So if you have a glass of milk and it makes you phlegmy, you may have an inflammatory response to dairy. The same may be true for anything you eat or drink that makes you clear your throat of phlegm (gross…). Merritt recommended timing when you eat meat well – monitor when your pain occurs and avoid eating meat during that time. For example, if the first few days of your period are painful, avoid eating meat a few days (or even a week) before you start your period. Heck, she suggests cutting out dairy, meat, gluten, coffee/caffeine, refind sugar, and cold foods a week before your period (or when you generally anticipate pain). See if cutting out these inflammatory feeds makes a difference. And when you do eat meat, be sure it’s high quality: truly grass-fed meats. Grass-fed organ meats (such as the liver or kidneys) are also extra good for us. Nutrients! A question was raised about eggs. If you must eat eggs (I looove eggs! ), make sure that they are good quality eggs. Cage-free and organic eggs were recommended. And when the yolk is almost orange, it’s super-duper nutrient-packed! Nightshades are a group of veggies that many suspects are potentially inflammatory. These include tomatoes, potatoes (yams/sweet potatoes are okay), eggplant, peppers, and goji berries. Studies go back and forth on the topic and findings, but it may be best to reduce the number of nightshades you incorporate into your diet (including processed foods: ketchup, marinara sauce, hot sauce, etc.). Gluten, for everyone, is hard to digest. Some people have a gluten sensitivity and feel the effects more. If you’re dealing with chronic inflammation, it’s recommended to avoid gluten and lessen the load on the body’s digestive and immune systems. Caffeine and sugar may cause inflammation and cramping. Merritt stated, “if you take nothing else from tonight’s talk, cut out sugar and caffeine!” She also suggested that IF you need caffeine, switch to tea (less caffeine than coffee) or coffee alternatives (which feed the need for the morning ritual). If you have leaky gut syndrome, it’s said that symptoms and inflammatory responses may be caused by pretty much anything that you eat. In a nutshell: in a healthy gut, the small intestine is tight and food can’t pass through until it fully processed and digested. With Leaky Gut Syndrome, that intestine is loose and proteins and particles are able to get into the bloodstream, which causes an insane immune response. If an elimination diet doesn’t help with Endometriosis symptoms, you may want to examine the state of your gut health. Everywell offers a test (for a few hundred bucks) that you take at home and it may show you what foods you have a reaction to, which may lead to a discussion about leaky gut syndrome. Merritt mentioned that bone broth is supposed to be really good for healing the gut and maintaining a strong and healthy balance inside there. AND…she strongly recommended not starting any supplements until you talk to someone to verify the validity of the claims AND what is best for you and your body. 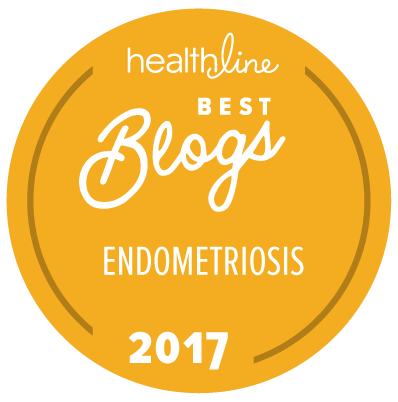 As many of us may already know, Endometriosis is an estrogen-dominant disease. Too much estrogen may spike our symptoms. So, avoiding foods which raise or mimic estrogen levels may lessen Endo symptoms. Also, the liver metabolizes estrogen. We need to treat our liver better, whether it be through diet, exercise, supplements, or a combo of each. The next line must have struck a chord with me…because I had written it in all caps in my notes: BE NICE TO YOUR LIVER! Certain foods can help manage estrogen dominance, especially a plant-based diet best. “Plant-based” does not mean vegetarian – it refers to a diet based mostly on plants and good, healthy meats (as discussed earlier). The question was asked about IBS and this list of foods – many of which may upset those with Irritable Bowel Syndrome. Merritt suggested that if you suffer from IBS, make sure that the food is really well-cooked. Also, incorporate broth into the diet. Focus on getting the gut healthy before aggravating symptoms of IBS. She also suggests a homemade ginger tea twice a day; once in the morning and once an hour before bed: 1-inch chunk of ginger (peeled) with 1/2 tablespoon of raw honey. Oh man…nobody likes to see the list of FATS! Focus on the healthy fats; try to limit the inflammatory fats. I asked about peanut butter (I looooove me some peanut butter). She recommended organic peanut butter over the regular peanut butter you may find on the shelves of the grocery store. Almond butter is an alternative (yuck…). Fermented foods are good for the gut…all kinds of good bacteria and probiotics. However, if you’re avoiding nightshades, no kimchee for you because of the peppers and spices. What the heck is a “real pickle,” I asked – it’s cultured; not made with vinegar. WHAT? I had no idea – so here’s a recipe that I’m bound to try one of these days. And yogurt? What’s that doing back on the list? Remember – not everyone is going to cut out dairy…and there are non-dairy yogurts out there. However, non-dairy yogurts tend to have a lot of sugar in them – be careful and read the labels. Again, this is based on Merritt’s own schooling, research, and personal experience. These suggestions may, or may not, affect you in a similar way. We are each responsible for determining what makes us feel our best. And if you don’t know where to start with the extensive list of things to try eliminating from your diet, Merritt suggested starting with processed oils (soy, canola, peanut, cotton seed, safflower oils). In the future, Merritt may be able to talk to us about acupuncture and possible benefits it may provide for our health, well-being, AND Endometriosis symptoms. Stay tuned! Q. Are chicken and fish okay to eat? A. Good quality chicken is important; make sure it’s organic chicken. Wild caught fish is going to be a great source of anti-inflammatories. You may want to avoid farmed fish. Q. What are considered good beans and what beans are “bad beans”? A. The lists and opinions are extensive! She suggested Googling (click here). Q. Do you have any thoughts on taking active birth control pills continuously? A. Sometimes it’s necessary, but there are pros and cons to both. Birth control does deplete B vitamins. get if you’re taking a continuous BC pill, be sure to start a B complex. Q. What’s the difference between dry needle and acupuncture? A. Dry needling is a technique adopted by physical therapists – it’s not acupuncture. It’s the manipulation of acupressure points for pain and it can be helpful. Physical Therapists are not trained as acupuncturists (different schooling, length of study, etc. ), but there may be some high-quality PTs out there doing it. It may be great for ortho issues but for more complex issues, like gynecological issues. Acupuncture may help longer and more fully. Q. What’s this “cold foods” reference on our handouts? A. It’s a Chinese medicine thing. Many believe that warm foods easier for the digestive system to process. Cold foods require more effort for the digestive tract. Add ginger to cold foods to “warm it up” to the digestive tract. Q. If you exercise, is it better to eat before or after the workout? A. Totally up to your body and what feels good to you. if blood sugar issues, don’t skip the snack or meal. Q. Does milk thistle help the liver? A. It can aid the liver. Merritt uses a complement of herbs to help with liver cleansing. Q. Does lavender increase estrogen? A. Merritt wasn’t sure about this. Now I’m curious and want to look into it, too. Please remember that these are my notes on Merritt’s presentation. They *may* be inaccurate and are my interpretation of what she said. 🙂 As always, please feel free to do your own research, or reach out to Merritt or your own healthcare providers for more information. One of the biggest lessons I learned in the workshop was: Be flexible. Our diet is practice; not perfection! Find a balance that suits your needs. I would like to extend a MASSIVE thank you to Merritt for sharing with us, and for all that she is doing (and will do) for our Community. You’re a treasure and I value you so very much. The week is over. It’s FRIDAY!! And time for the weekend!! I hope you take it to heart. Absolutely love yourself. Pelvic Pain Solutions: Limited Time Discount! If you’re in the market for pelvic seat cushions or pelvic therapy pads, you’ll receive 15% off by using the discount code, LW15! But hurry…the coupon expires on November 1, 2017. If you haven’t heard of Pelvic Pain Solution’s pelvic therapy pads, they offer hands-free hot or cold compresses: the EndoFEMM Pad, the Endo-lite Travel Pad, the Pelvic Floor pad (which extends from pelvic bone to tailbone), and the Multi-Comfort Pad (which sounds divine: coverage of the tummy, pelvic area, lower back, and tailbone!) I have my EndoFEMM and freakin’ LOVE it! I wrote a little review of my experience here. I own the full size and the travel size versions. I’m workin’ the fitting the pelvic seat cushion into my budget, but Pelvic Pain Solutions (and other people who have purchased them) say they’re helpful for pelvic discomfort and relieving pain and tension. I’ve recently discovered the life-changing benefits of having a lumbar pillow on the back of my chair at work at in my Jeep and have high expectations for a pelvic cushion! For the month of October, Healthline is hosting an awareness campaign of ALL invisible illnesses and they’d like OUR help! Do YOU have an invisible illness? Why not participate? There are two weeks left in October. 🙂 Let’s inundate the internet! Why: To educate and raise awareness that not all illnesses are inherently visible and to raise financial support for the U.S. Pain Foundation in support of all invisible illnesses. When: This campaign was launched on October 1 and will continue through October 31, 2017. What: Share an image on Social Media that makes your condition visible with the hashtag #MakeItVisible. For every #MakeItVisible submission Healthline is donating $1 to the U.S. Pain Foundation until we reach our $5,000 goal. Who: You! With your support, Healthline will be able to bring more communities in to unite and honor all invisible illness communities in order to break the stigma that one has to “look sick” to be living with a condition. I received this message from one of our Readers, Jeni. I was having severe pain in my right ovary. After months of seeing my Dr. we decided on a hysterectomy Feb 19, 2017 leaving in my left ovary. We are now in September and the pain resurfaced in April and month by month is getting severe again. I went to my Ob Dr, and she said it was from my endometriosis which I never knew I had till I visited her last Friday. She suggested I do the shot for 3 months to see if that helps. If my pain is gone they will take my other ovary and I will go into menopause. I am 43 and will probably hit menopause within the next 5 years anyway as my mom was in her 40’s. I would love some insight as to what you ladies would suggest. Some of your stories sound terrible and I feel for all of you. If you would like to reach out to Jeni and help offer some insight, she’d love to hear from you. You may email her here.